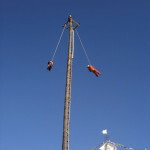 Thrilling the crowd below, the dancers spin around the pole as their ropes unravel with every turn, lowering them closer and closer to the ground in a death-defying ritual. 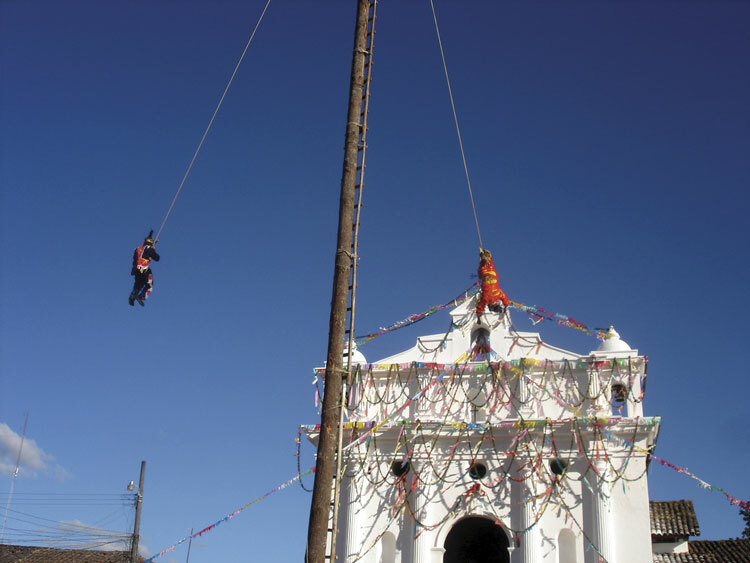 Home of one of Central America’s largest indigenous markets, Chichicastenango is at its liveliest this month because Dec. 21 is the feast day of its patron saint, Santo Tomás. 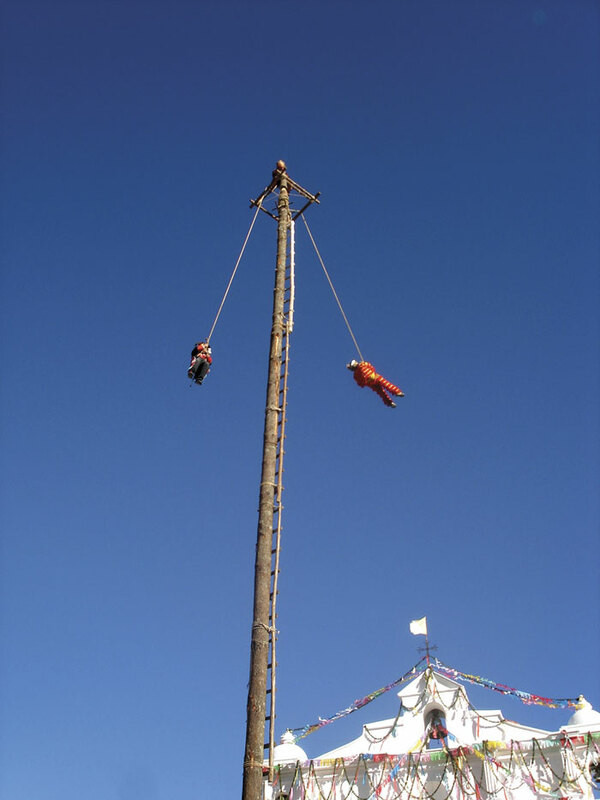 Festivities run Dec. 17-22 and include parades, processions, fireworks and traditional dances, most notably the palo volador (pole flyer). 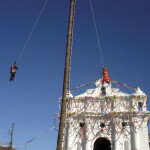 In the palo volador ceremony, the trunk of a tall pine tree is consecrated and raised in the plaza; costumed dancers climb to the top and attach themselves to ropes. 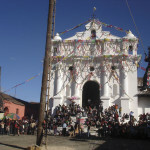 The focal point of the festival is the historic church of Santo Tomás, opposite the market. 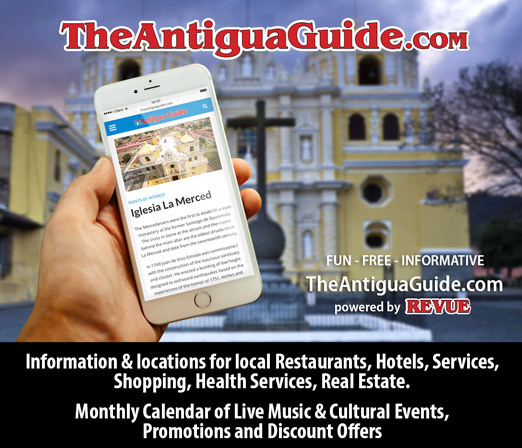 If you enter the church, however, don’t use the side doors—it is regarded as disrespectful. 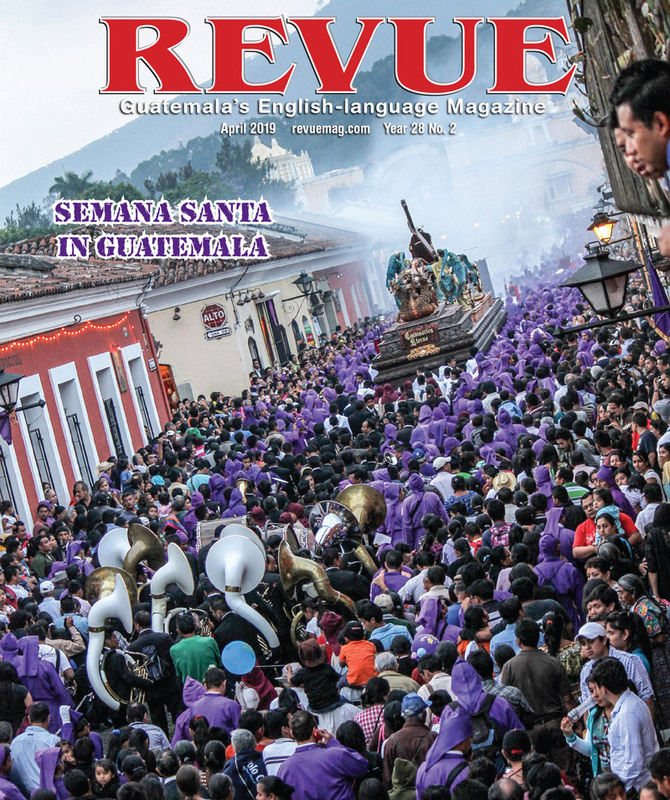 A glimpse of the church interior reveals a mix of Catholic and Maya culture, especially evident during the festival. 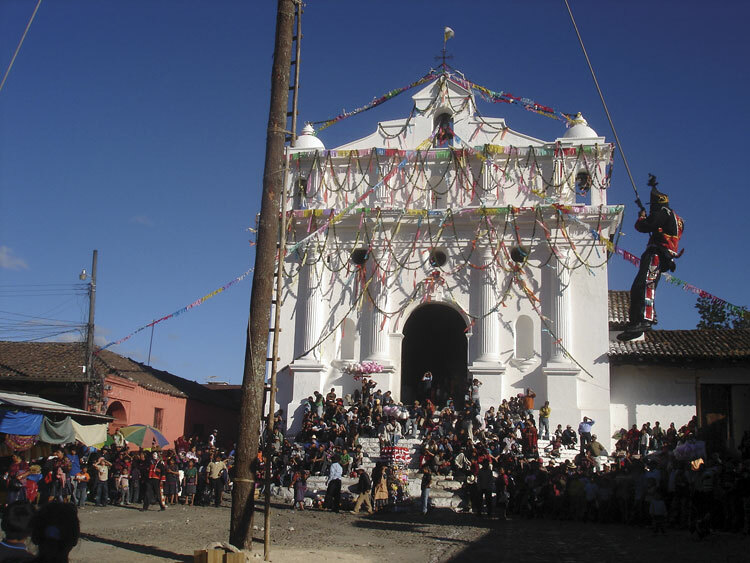 A stop in Chichi is a must for any traveler, but a visit during the vibrant celebrations of Santo Tomás will be especially memorable.